Κτισμένο το , το Nu Hotel @ KL Sentral αποτελεί ξεχωριστό σημείο σε Κουάλα Λουμπούρ, καθώς και έξυπνη επιλογή για τους ταξιδιώτες. Μόνο 5 KM από το κέντρο της πόλης, η στρατηγική θέση του ξενοδοχείου διασφαλίζει ότι οι επισκέπτες θα έχουν γρήγορη και εύκολη πρόσβαση σε πολλά από τα τοπικά σημεία ενδιαφέροντος. Με την βολική του τοποθεσία, το ξενοδοχείο προσφέρει εύκολη πρόσβαση στους προορισμούς της πόλης που πρέπει οπωσδήποτε να δείτε. Στο Nu Hotel @ KL Sentral, η άψογη εξυπηρέτηση και οι ανώτερες εγκαταστάσεις συντελούν ώστε η διαμονή εκεί να σας μείνει αξέχαστη. Μια επιλογή από εξαιρετικές ανέσεις όπως τα 24ωρη υπηρεσία δωματίου, δωρεάν WiFi σε όλα τα δωμάτια, ημερήσιος καθαρισμός, ταχυδρομική υπηρεσία, υπηρεσία ταξί σας περιμένουν στο ξενοδοχείο. Τα δωμάτια του ξενοδοχείου έχουν διαμορφωθεί προσεκτικά ώστε να παρέχουν υψηλό επίπεδο άνεσης και την ευκολίας. Σε κάποια από τα δωμάτια, οι επισκέπτες μπορούν να βρουν ντουλάπα, πετσέτες, ξύλινο/παρκέ δάπεδο, επίπεδη τηλεόραση, καθρέφτης. Εξάλλου, το ξενοδοχείο διοργανώνει πολλά ψυχαγωγικά δρώμενα έτσι ώστε να έχετε πολλά πράγματα να κάνετε κατά τη διαμονή σας. Ανακαλύψτε ένα ευχάριστο μείγμα επαγγελματικών υπηρεσιών και μια μεγάλη ποικιλία ιδιαίτερων χαρακτηριστικών στο Nu Hotel @ KL Sentral. Understanding this is a budget hotel in the city, it is much better than a budget hotel. Separate shower to keep the toilet dry. Spacious room or two person. 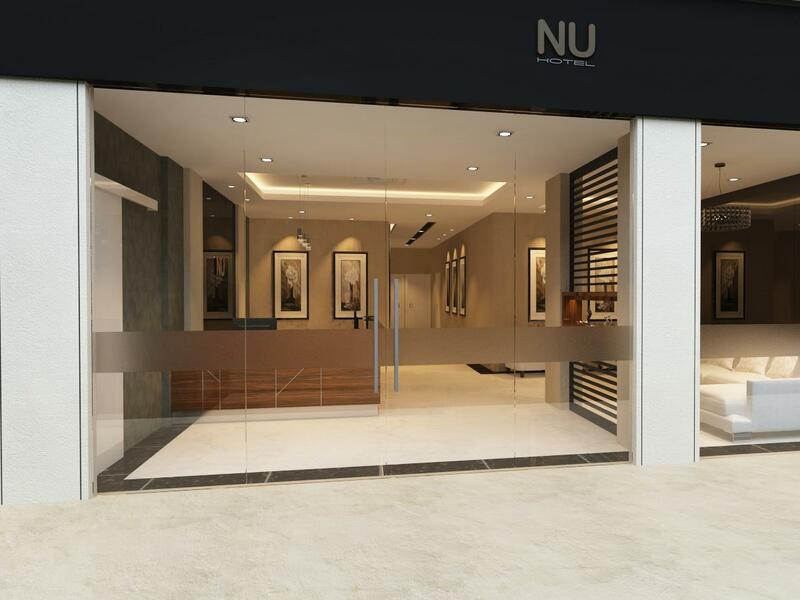 Good location, entrance to NuSentral mall is just around the corner. Perhaps, need more housekeepers, or disallow late checkouts, in order to get rooms ready thoroughly by the check-in time. I checked-in at 4pm but room wasn’t ready. Greetings from NU Hotel @ KL Sentral! Thank you for taking the time to provide feedback on your stay here with us. I am delighted to know that overall you have enjoyed your stay with us at NU Hotel. Please accept our sincere apologies for the inconveniences that you have experienced. Thank you for choosing us as your preferred choice of stay and we look forward to the opportunity of welcoming you back on your next trip.We will do our best to not disappoint you again in the future. It is right next to KL Sentral. So it is very convenient to take train, metro and Airport Express train. In addition, Nu Sentral is the mall that packs plenty of food options at its 4th floor. Highly recommended. Room is neat, bed room facilities are well provided. Toilet is clean. For those who are more particular may want to bring their own towels as they are washed but looked used. Shampoo and bath gel provided, toothbrush and toothpaste not provided. Will visit again. This hotel is just on the street that opposite NU Sentral mall and KL Sentral. I can walk to the mall to find good food and go shopping at the mall or supermarket as well. Because I fly with Malindo Air so I can even check in with my luggage at KL Sentral and free to have my lunch at NU Sentral and take KLIA express train to the airport. Highly recommend for everyone that uses public transportation as the main mode of transportation. Easy and convenient to catch AA Skybus, very near monorail and Nu Sentral Mall, lots of eateries. This hotel is close to KL Sentral and Department Store. But I don't like the restaurant on the way to go to Hotel the smell is bad. Pros: Location is strategic, very near to the LRT/train stations, Grab was easily accessible in the area, eateries everywhere & 7/11 & Dominos Pizza is just next door. Cons: - Cleanliness: The sheets had a strand of hair or two when we arrived, and the blankets werent as clean as it should be (probably didnt change the sheets after their previous customer checked out). The toilet could have been cleaner (the toilet seat had dried pee stains on them). - The shower area had a divider which served no purpose to avoid the toilet from being wholly dry (needed to call for extra floor mat) - Iron had to be requested, the fridge was smelly & the air-conditioner needs a service. Conclusion - you get what you paid for. If you don’t mind calling room service multiple times to get the room as clean & right as you want it to be, then the place is fine. Greetings from NU Hotel @ KL Sentral! Thank you for taking the time to provide feedback on your stay here with us. Please accept our sincere apologies for the unpleasant experience during your stay. Thank you for choosing us as your preferred choice of stay and we look forward to the opportunity of welcoming you back on your next trip.We will do our best to not disappoint you again in the future. Overall staying in the hotel is comfortable. 1 thing I need to point out is the car park. This hotel doesn’t have car park. However we have to park at the hotel sentral’s car park and paying rm4-6 per hour no flat rate for overnight. In order to standout, I guess NU hotel should collaborate with hotel sentral and granted free parking for hotel guest. If you’re driving, I don’t recommend you to stay here bcoz by the parking fee u pay, you will get exactly same price and 5 stars hotel. Nu Hotel is conveniently located near the LRT and Sentral Station, you can make it as a base for go around and outside KL. It s just a short walk to the Nu Mall and shopping areas. There's also a 24-hours restaurant that serves really good Malay and Indian food. The rooms are not too big, they are kept clean and all bath necessities are provided. Beds are firm but comfortable, and beddings are clean. The aircon works well. Staff are friendly and helpful in providing information to us about places of interest and directions. So easy to access from KL Sentral. Follow signs to the monorail, take lift to ground. Go past two ABC (blue then red)restaurants, turn the corner and there it is. The rooms are neatly furnished, spotlessly clean and very quiet. The beds and pillows are very comfortable. The shower runs hot and strong. The temperature is easily adjustable. The curtains provide complete darkness so that you can have a good sleep before or after a long journey. The staff are very friendly and helpful. We stay here several times per year when transiting through KL. Location (nearby KL Sentral less 5 mins walk). Comfortable, Clean room & toilet. Good for a short stay, my room no wardrobe but small fridge, kettle & bathroom amenities available. Easy to find foods and shopping at Nu Sentral Mall. first time staying at this hotel, when in KL. we book, since we see that this hotel got excellent location, but apparently, we get what we paid for. we book the family suite, the room was ok, but the toilet is leaking, i dont know where it came from, but our toilet is always flooding. the fridge was the worst, there's a crazy annoying smell coming out from it when we open the fridge, so we never used it. The staff is also a bit grumpy, when we checked in, they didnt greet us with a proper smile, no one ask to help with our luggage, when we're done checking in, they only told us to go to the 5th floor and find our room. there wasr 3 or 4 staffs there, but no one bother to help us with the luggage. Location wise it was okay, since its so close to KL Sentral station. but the road renovation in front, is quite a trouble if you have big luggage and you came with taxi or grab, have to stop a bit far from the hotel, so we have to drag our luggage, and fyi the sidewalk is not luggage friendly. Greetings from NU Hotel @ KL Sentral! Thank you for taking the time to provide feedback on your stay here with us. Please accept our sincere apologies for the unpleasant experience during your stay. We have taken note of your comments on our staff services. Thank you for choosing us as your preferred choice of stay and we look forward to the opportunity of welcoming you back on your next trip.We will do our best to not disappoint you again in the future. 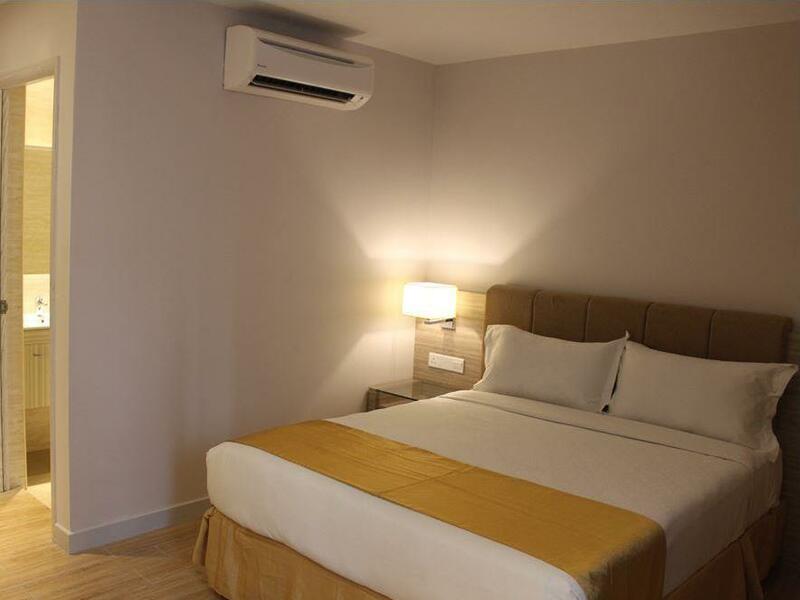 Easy access from NU Sentral, very convenient and clean hotel. Σταθμός Monorail KL Sentral στα 0.08 χλμ.